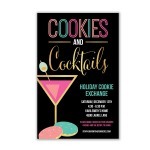 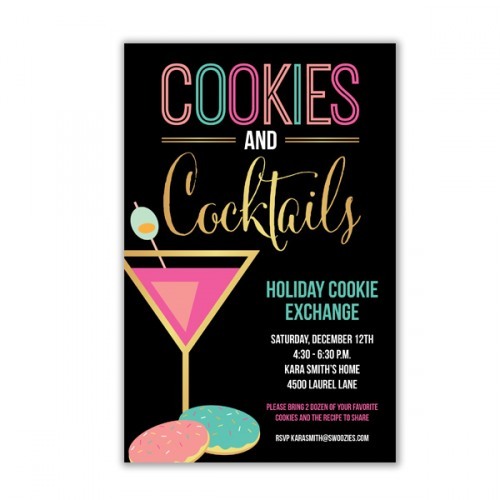 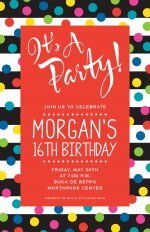 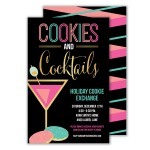 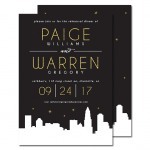 Typographic wording of the phrase Cookies and Cocktails in multiple colors and simulated gold foil stands out at the top of this black background invitation. 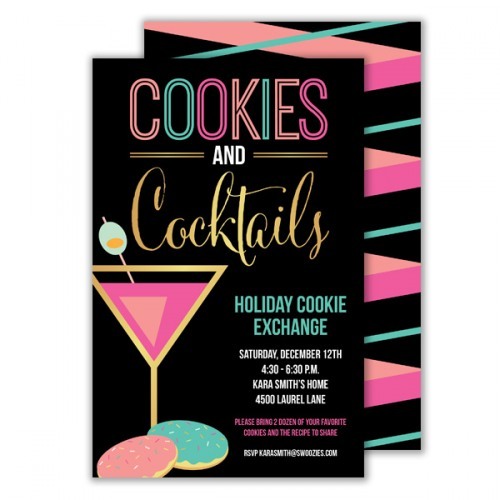 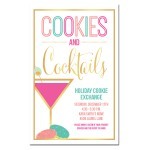 Personalize the invitation underneath the phrase text to the martini glass with cookies at the base. 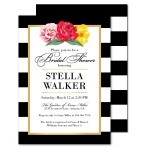 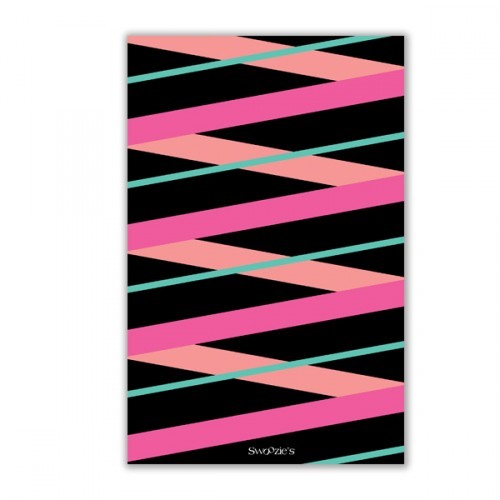 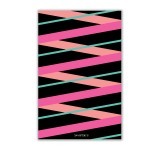 The back features a fun criss-cross diagonal pattern in bright colors, also on a black background.